Elon Musk and SpaceX show no sign of wanting to slow down their space program, and they're even considering taking two tourists on a trip around the Moon (and back) next year. 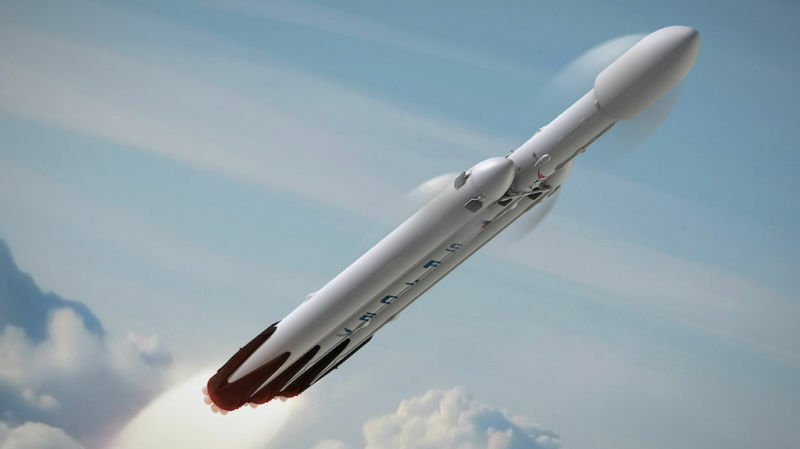 No doubt a trip around the Moon is a lot less ambitious than going to Mars, but it's another important small step that will validate the technology of the Falcon Heavy - which will be the most powerful rocket at this time (reaching two-thirds of the Saturn V's thrust ) - and also of the Dragon 2 capsule, which will have to keep the astronauts, or space tourists, alive. Speaking of the occupants, things are mysterious, as Elon Musk says that SpaceX was approached by two individuals with the idea for this mission, and that they have already deposited a significant amount that guarantees they're not joking around. Even though we know there are plenty of "billionaires" around our planet, it will certainly be interesting to see who is willing to risk their billions on a trip around the Moon, where any small mistake can have fatal consequences (and 200 thousand miles away there is no money in the world that will save their lives if something goes wrong). Of course we wish everything to go well, and that the mission is a success. Unfortunately, even with this happening, it will be extremely unlikely that in the coming decades we will be able to travel to the Moon on the budget of the remaining 99.999% of the world's population.